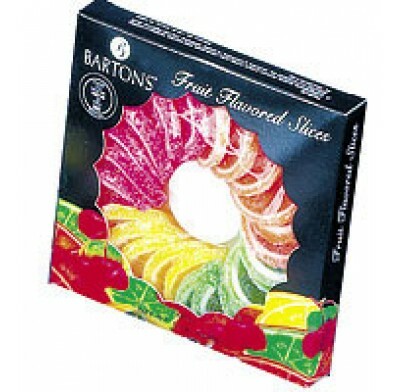 Barton Fruit Slices, the delicious, chewy fruit candies sprinkled with sweet sugar crystals for a fantastic taste sensation! A delight for the eye as well as the mouth. Kosher for Passover. 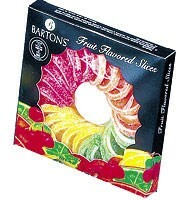 Boxed candy comes 12 per case. If you can't find the candy or chocolate you are looking for, contact us and we will be happy to help you in any way we can.